New parents tend to constantly worry about the well being of their child, even more if its their firstborn. In absence of anyone with an experience with newborns and infants, it is very difficult for the parents to understand the small things that may affect their child’s health. Thanks to the Owlet Smart Sock. The Smart Sock is worn by your baby as he/she sleeps. It collects heart rate, oxygen, temperature and sleep data and parents can now monitor it on their smart phones. 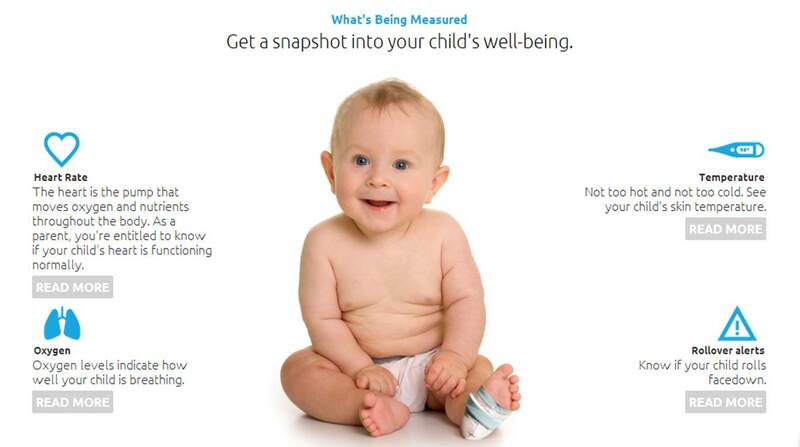 Not only will it monitor day-to-day health of your child, but it can help spot Sudden Infant Death Syndrome (SIDs). The smart sock, created by Jacob Colvin after his own child became sick, uses four tiny sensors to monitor heart rate and oxygen level and the app will also send data anonymously back to the company, and they in turn plan to assemble a database to help spot problems and warn parents about them as early as possible. The company aims to be the only wireless baby monitor that will come home with almost every child at birth. Because it is engineered to be light, easily washable, and comfortable, the bootie will allow parents to ensure their kids are still breathing and, more importantly, offer important insight to researchers on the first few months of life. The monitor is shipping this summer for $250 and comes in blue and pink. They are currently accepting pre-orders for the second batch. The safety of their child is always the top priority of every parent. Specially during travel when the sensitive and still developing body of a child is more vulnerable to any impact. 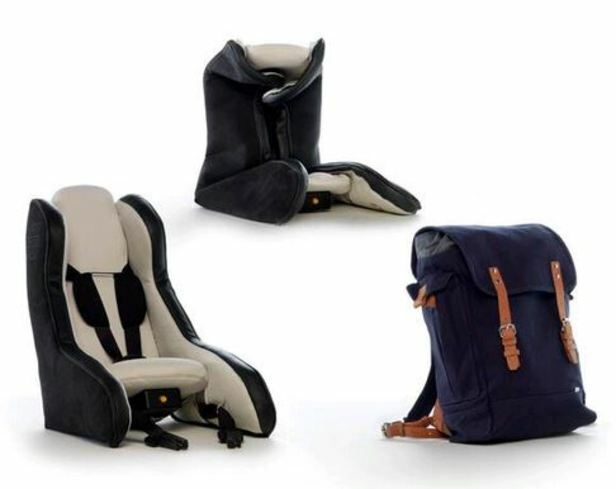 To avoid any such mishap, parents use the child car seats, even if they are heavy, cumbersome and difficult to position inside the car properly. It is a painful but necessary process, that every parent has to go through everyday. These seats can be carried around in a bag and brought to use with just a click of a button through a built-in pump that can inflate or deflate it in mere 40 seconds. The seat is made from drop stitch fabric which gives it the strength to handle high internal pressure when inflated. This is the fabric that is used in inflatable rafts and was originally developed by the military in an effort to develop inflatable airplanes. 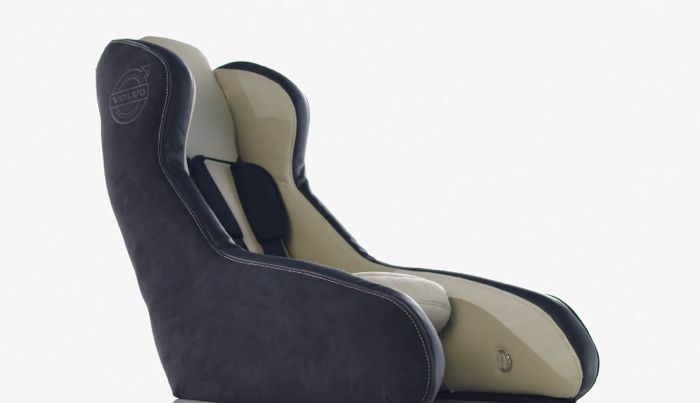 The seat is designed to be rear-facing, i.e it faces the rear of the car, as it is the safest way for children to travel. It is said to be light, but you will have to lug around the 5 kg bag along with the baby’s necessities. Check out their video on YouTube here. Do share your views on this innovation. We have always studied since school days that 70% of the earth is covered with water but most of it is not drinkable due to sea’s salinity and minerals. Its been man’s desire to always be able to harness this seemingly limitless source of water for drinking purposes. We have made significant progress with that but never had a portable device ever. This is one product that would have really come handy to Robinson Crusoe or Tom Hanks in the Adventure Drama named Cast Away or the most recent Thriller ‘Life of Pi’. Being able to drink sea-water is like a dream come true for every sea traveler and mariner. 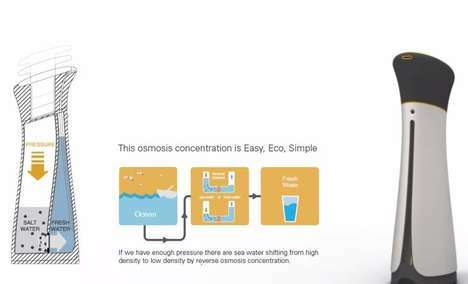 There are some large devices which have been developed for this purpose and converts sea water into drinkable state. But none of them are portable and not fit for storing in your bag. 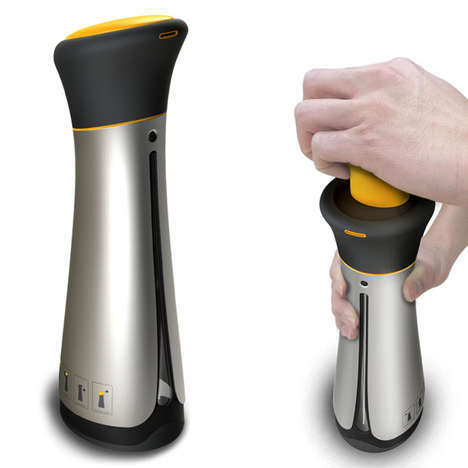 Designers Younsun Kim, Kangkyung Lee, Byungsoo Kim and Minji Kim have developed a product which solves all these purposes. 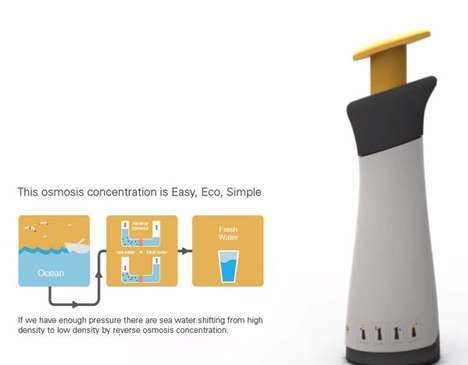 Its named the Puri – Sea Water Desalination Bottle. The Puri works on the concept of Reverse Osmosis and has been put in a very compressed and compact form inside the bottle. This regular sized bottle draws the saline out of the water and into the bottle’s yellow filter. The remaining water is then safe to drink, which could mean the difference between life and death in a sudden marine emergency. 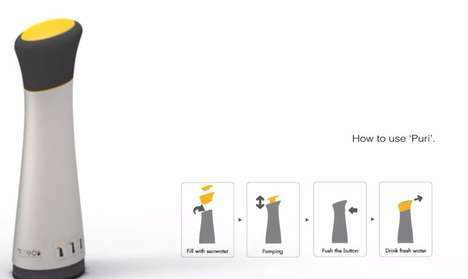 See the process flow of the bottle below. Mosquitoes are a menace in the tropical weather. Ask any Asian or African citizen, and you would know what dangers a tiny flying insect can have. Every year millions die from Malaria, Dengue and other such ailments that happen through mosquito bites. Repellents and sprays have their own harmful side effects and are not always effective. The team at The Kite led by Grey Frandsen, Dr. Michelle Brown and Torrey Tayanaka have come up with a brilliant patch that can make humans nearly invisible to mosquitoes. The work is still in testing phase but holds a lot of promise for the 3rd world countries where Malaria and Dengue are a major concern. Each disposable square patch measures just 1.5 inches (38 mm) per side, and is simply stuck onto the clothing like an adhesive decal. A proprietary blend of FDA-approved non-toxic ingredients within the patch then exudes a scent, that reportedly blocks mosquitoes’ ability to detect exhaled carbon dioxide – that’s the major method by which the insects track down their human prey. Once exposed to the air, the patch remains effective for 48 hours. Kite’s™ technology stems from scientific developments initially developed at the University of California, Riverside with assistance from the Bill and Melinda Gates Foundation, and the National Institutes of Health. 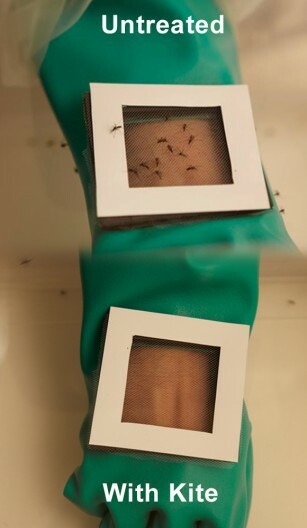 Initial large-scale testing is planned to take place in Uganda, where disease-carrying mosquitoes are a major health issue. 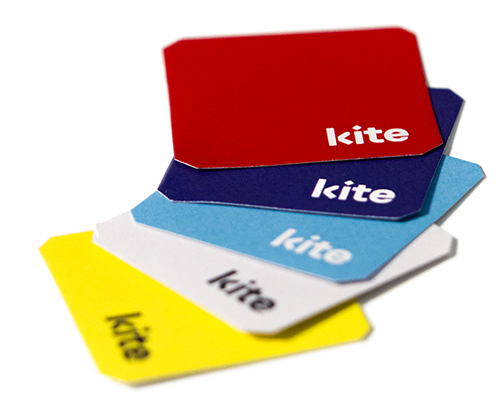 Ultimately, it is hoped that Kite patches will be widely available both to aid organizations, and to consumers around the world. Water borne diseases continue to rule the kingdom of ailments! Water is something we humans cannot stay without and the availability of clean drinking water is difficult when we are on the roads and travelling to far off places. The problem of clean drinking water is all the more prominent in third world countries. 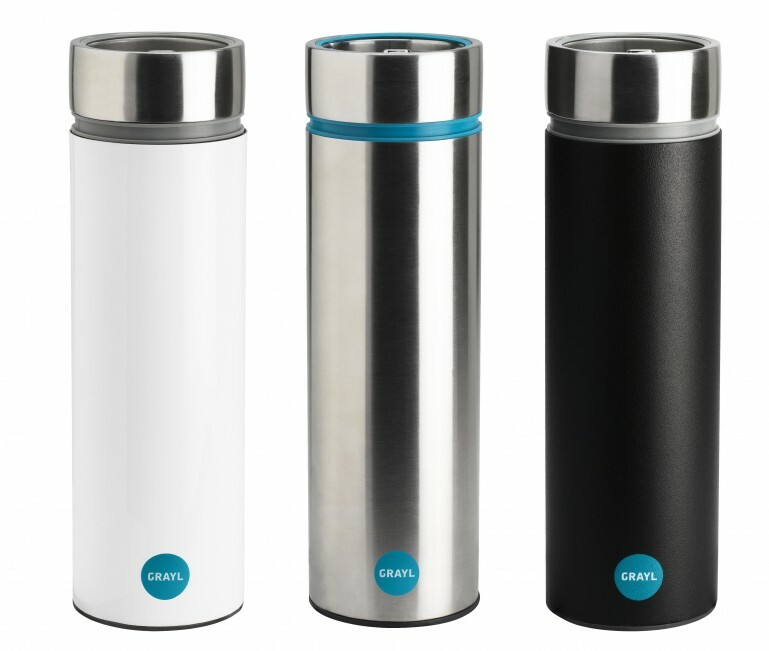 Grayl, which is a Seattle based startup has come up with a brilliant handy solution to this clean drinking water problem. 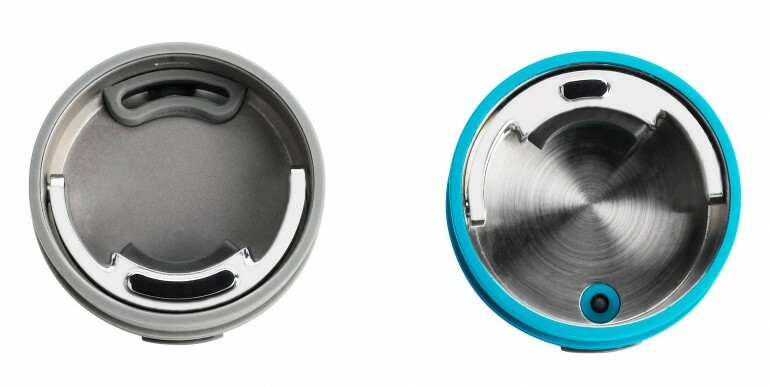 To put it simply the device consists of a double-walled container with a mesh filter system contained within the base of the inner cup. Once the outer cup has been filled with water, the user then places the inner cup inside and pushes down, forcing the liquid through the filter. The filter combines three technologies to ensure the water is properly purified: a triple charged mesh the capture germs, a layer of ultra-powdered activated carbon and an antimicrobial agent to keep the filter fresh between uses. 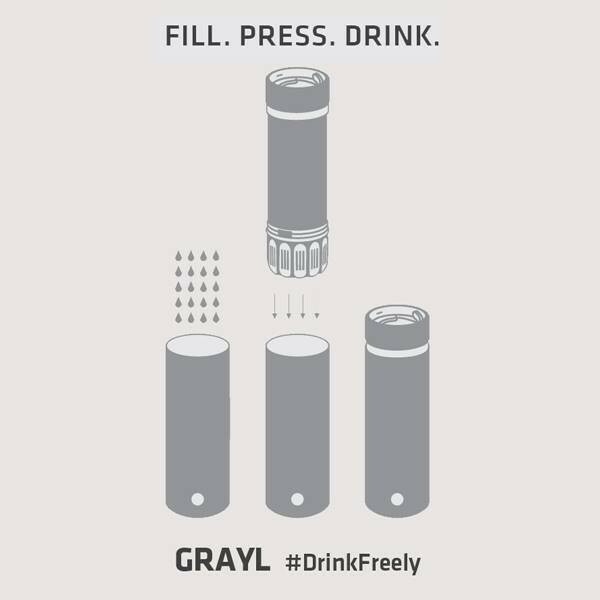 GRAYL is effective against disease causing water-borne pathogens, metals, chemicals, flavor and odor. This innovative idea could help millions of people in the various parts of the world where clean drinking water is a LUXURY! We love to see radical design changes in products that are a regular use product and the design of which has remained unchanged for ages known to us. One such daily use product used by billions of people is the all so omnipresent Wrist Watch. We have always known the watch to be comprised of straps and a dial, either analog or digital. 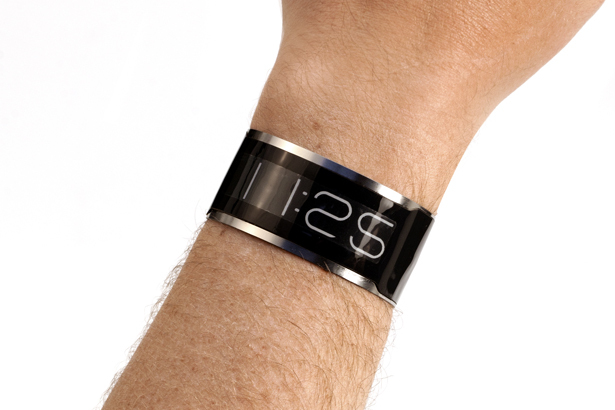 How about just a wristband that doubles up as a watch? 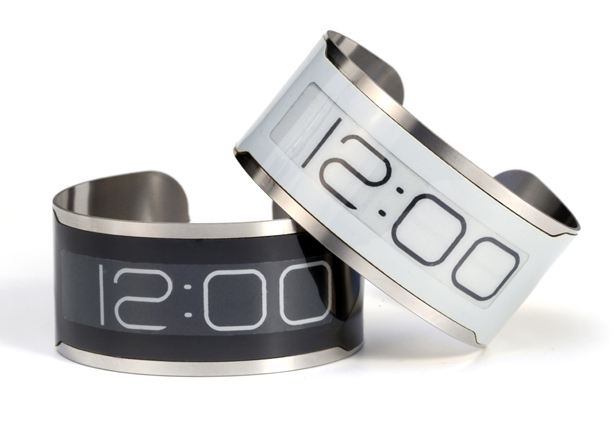 The idea for the CST-01 began in December 2011 when Dave Vondle, one of the founders of Central Standard Timing, taped an E Ink display around his wrist and said, “I want a watch like this.” A year later, they designed a watch that highlights the most innovative qualities of E Ink’s SURF segmented displays; ultra-thinness, readability, ruggedness, flexibility, and low power. The patent-pending CST-01 is assembled by laminating thin, flexible components into a 0.5mm pocket etched into a single piece of flexible stainless steel, making it different than traditional digital watches, which typically use the same form factor of an analog watch. 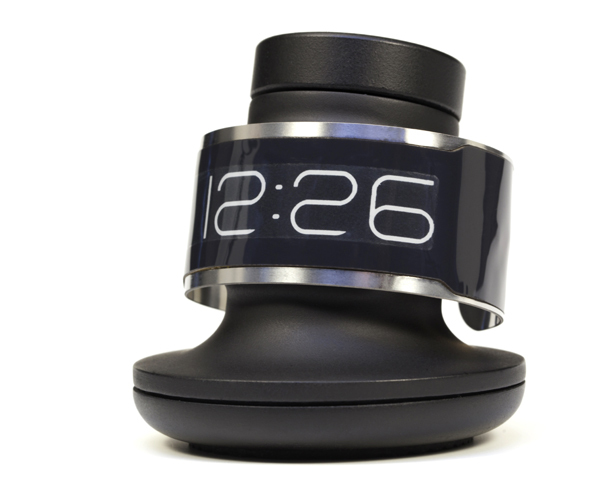 Both Dave and Jerry, designers for this brilliant watch, work at Ideo, a global design and innovation firm. Together, they have over 24 years of experience inventing, engineering, and designing products for the world’s top brands. In their spare time, they like to make stuff! Developed by team of Monisha Perkash, Charles Wang andAndrew Chang, the LUMOback is worn around the waist and features an imbedded ‘posture sensor’ able to monitor the user’s lower back spinal posture. When the device senses a slouch, it will vibrate as a reminder to the user to sit up straight. 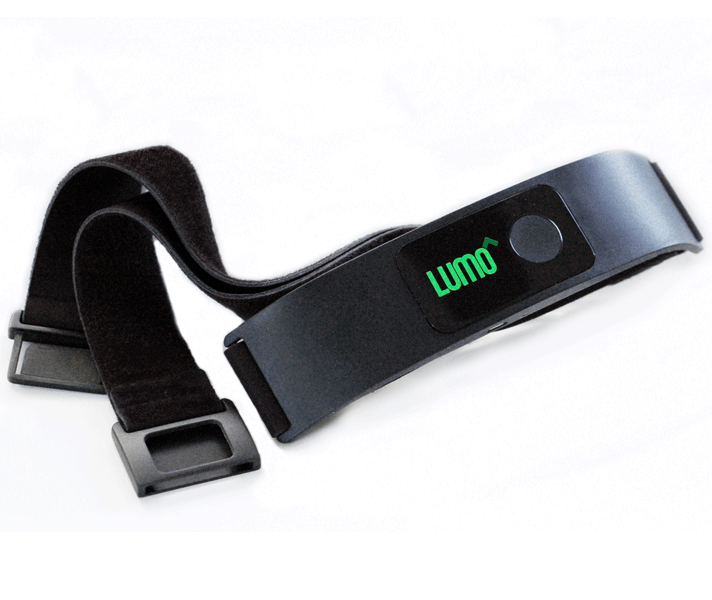 The LUMOback can also be paired wirelessly with an iOS device to track posture improvements over time. So you actually know how you are doing with your body posture over a period of time. 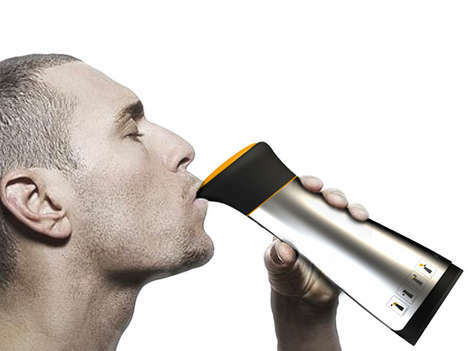 The developers of LumoBack believe they have added ‘Voice to your body’ through this device. Indeed, its a way your body tells you to sit straight and not slouch!